A regular player at Thunderbolt Casino is glad she collected comp points at the South African online casino, and just as glad that she redeemed them when she did. She recently won over 36,000 Rands on the Super 6 slot game using cash from comp points she’d cashed in. Salomi P. of Johannesburg has been playing at the South African online casino for several years. She’s earned Comp Points every time she’s played one of their games from Realtime Gaming, but she’s never redeemed them. Salomi P. won over 36,000 Rands using comp points cash at Thunderbolt Casino. Salomi, 33, had accumulated 9,113 in Comp Points. She redeemed them for R91,13. With that bonus credited to her account, she headed straight for her favourite slots. It was fun playing with free money. Then she was beyond excited when she won R11,000 on the Super 6 slot game. She played the same game several days later and won R25,000. Super 6 is an Asian-themed game with one more reel than most online slots. It has six reels with symbols celebrating the opulence of Chinese empires. Grouped Wilds double any prize they’re part of. Scatters trigger free spins. If the scatters are all on the same row then there are more Wilds and bigger bonuses during the free spins. 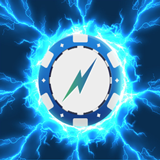 Thunderbolt recently re-designed its website to accommodate its growing selection of real money online casino games from RTG. They’ve hidden secret bonus codes all over it. All casino games are played in Rands and customer service is available in both English and Afrikaans. Mobile casino games are available for players using smartphones and tablets.